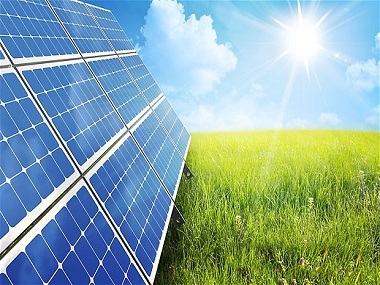 Solar energy is a green source of energy’ is what you have been told, but there is more than one good reason to be using it to power your stuff up. Have a look at our homepage for other energy saving products that can help you reduce your power consumption and put less strain on our power grid. We need to start looking at alternative energy sources in South Africa instead of the rapidly depleting fossil fuels from the earth. How Is Solar Energy Harvested? It is harvested by using photovoltaic panels to convert the solar energy into electrical energy. This proves to be a much better way of using it as most of the devices we use cannot work directly on the heat component of solar energy but need electricity to run. 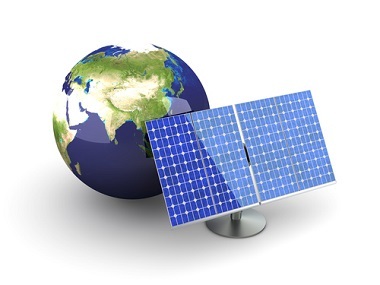 Photovoltaics convert the radiations of solar energy into DC electricity. The strength of the solar energy radiation is measured in watts per square meter. On a bright sunny day the solar energy strength is about 1000 watts per square meter on an average. Sick Of Paying Hefty Electric Bills? 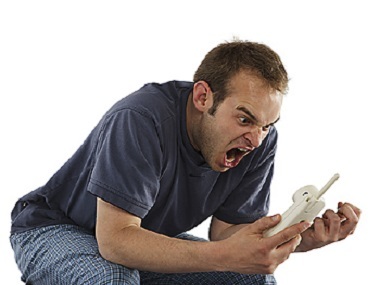 Are you sick and tired of paying hefty electricity bills to energy companies? Do you often feel cheated when it comes to making your payments? Guess what, solar energy in South Africa is exactly what you are looking for. It requires but only a compact energy generating mechanism that would easily fit into your backyard, rooftop or perhaps your terrace if you are living in a building. This would be almost like proclaiming independence from the pestering electrical companies. By using the correct thickness of ceiling insulation with solar energy for an energy efficient home or building. Start using renewable energy sources today, and stop paying, high, over priced electricity bills and start saving your hard earned cash! You can save a hefty amount of money each month just by having a solar water heater installed in you home. One of the advantages of solar energy is that it will go easy on your pockets in the long run. One time instalment charges might seem scary at first but when you consider the fact that you will rarely have to service it you will feel the pinch of electricity cost easing on you. Also you don’t have to pay anyone to use the solar energy that the universe has so generously given us. Read more on solar energy here. The long term financial savings of investing in renewable power sources can be quite significant. The declining cost of equipment coupled with the substantial rebates and incentives makes it a good time to invest in these renewable sources. Federal and state governments are currently offering generous incentives to go solar; however, these programs are designed to reward early adopters of solar power, so the rebate amount per project continues to drop as the allotted funds are consumed. No one would bet on technology that is actually space ready. Space is often considered as the harshest environment possible with the temperature fluctuating drastically and suddenly. The photovoltaic cells that are used to harvest solar energy are actually used on most space satellites. This shows how dependable and durable this renewable energy technology really is. Also as an additional bonus these cells have no moving parts and are silent thus making it highly desirable when compared to your average utility generators which are very noisy. The warranty on the average technology for harvesting is 25 years which doesn’t include maintenance. Our ancestors have used it, why shouldn’t we? Solar energy has been used since prehistoric times, but in a most primitive manner. Before 1970, some research and development was carried out in a few countries to exploit solar energy more efficiently, but most of this work remained mainly academic. After the dramatic rise in oil prices in the 1970s, several countries began to formulate extensive research and development programmes to exploit solar energy. It reduces air pollution: Generating your own electricity by using solar energy reduces your consumption of the conventional fossil fuels thus dropping the emission of air pollutants and greenhouse gases. No effect on the landscape: It doesn’t create any emissions that would damage the landscape or the beauty of the nature around. It would actually save the environment from being damaged by the pollutants released not only in the burning of fossil fuels but also in the mining process of the fuels. Jobs: In recent times has been a massive source for new jobs as those employed in creating the storage cells for solar energy and maintenance etc are in very strong numbers. The only prominent disadvantages of solar energy is the fact that is available only when it is daytime on a sunny day. But when you consider the amount of power that can be harvested around the world in the summers if implemented properly it exceeds the amount of energy required to run the world for the whole year. Apart from this disadvantage of solar energy, it is a great technology that is really worth considering.